A well thought out, cleverly designed quality uPVC door from Immaculate Home improvements will bring so much to your Bournemouth home. Make a lasting first impression with your property today by investing in one of our uPVC doors. 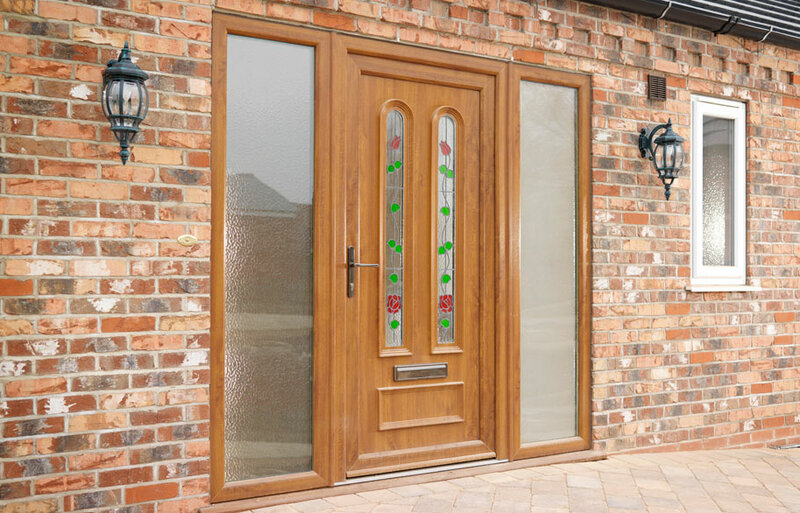 Our exciting range of uPVC doors is intentionally designed to reduce your carbon footprint and improve security. For those looking for a cost-effective way of renovating your home, a uPVC door is a great place to start. Improving the aesthetics of your property, and increasing the value. Immaculate Home Improvements offer a full-service supply and fit service for quality uPVC doors. Our team of dedicated home improvements will always go the extra mile for our valued customers, for the perfect uPVC door installation. Immaculate Home Improvements offer a full-service supply and fit service for quality uPVC doors. Our team of dedicated home improvements will always go the extra mile for our valued customers, for the perfect uPVC door installation. uPVC doors are available in a range of stylish uPVC colours. Once installed, they require almost no maintenance to retain their appearance, security and energy saving ability. A quick clean to remove dirt and grit is all that is required. Immaculate Home Improvements supply and fit tailor made uPVC doors, especially for your Bournemouth home. Available in a huge range of attractive RAL colours for a personalised finish. Low 15mm aluminium threshold available in gold. For your complete peace of mind, our uPVC doors are fitted with strong steel reinforcements, high-security hinges and multi-point stainless steel locks. All of our locks meet strict building regulations, developed from high-grade steel for security that lasts. Our uPVC doors meet Secured by Design status. Police approved home security. The staff at Immaculate Home Improvements are happy to answer any questions about the security of our uPVC doors. Why not ask for a full safety demonstration? We will point out the security benefits, and offer tips and tricks to improve overall home security. For improved security ask about additional hinge protection bolts, anti-snap and anti-drill door barrels. Optional laminated glass and reinforced design available. Immaculate Home Improvements use internally reinforced uPVC to achieve superb levels of energy efficiency. Relax and enjoy a comfortable, more environmentally friendly home. Our uPVC doors help to reduce your monthly energy bills, plus lower the level of noise pollution entering your property. Immaculate Home Improvements offer our supply and fit uPVC doors service in Bournemouth, Southbourne, Christchurch, New Forest, Sandbanks, Poole, Lymington, Boscombe, Wimborne, Corfe Mullen and surrounding Dorset towns. Immaculate Home Improvements use sophisticated and advanced software to generate free online prices for uPVC doors. Get your unique uPVC door quote in just two minutes today. 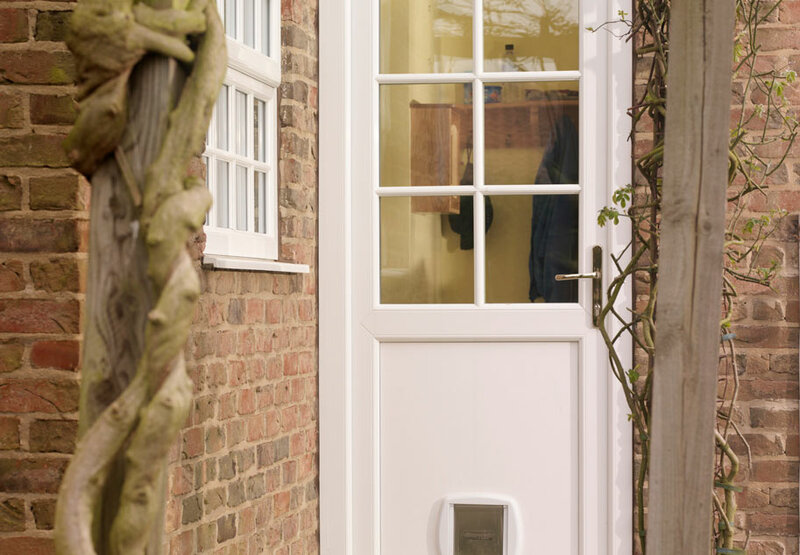 If you would like further information on our range of uPVC doors, please contact one of our helpful advisors today. Our helpful experts are happy to answer any questions.